After bringing your little one home for the first time, the last thing you want to worry about is shopping for groceries. Here are some ways to make sure your pantry and fridge are ready to take care of you while you take care of your baby. Not only are homemade frozen meals quick and tasty, preparing them will help you pass the time before your due date. Casseroles, chicken dishes, soups, lasagna and meatballs all freeze well and make fast, hearty meals you don’t have to worry about preparing after your delivery. When in doubt, stock up on canned products. This includes healthy favorites like beans, tomatoes, sauces and broths that will last for a long time in the cupboard. If you stock up on a lot of these before bringing your baby home, you’ll have back-up meals at the ready for weeks. Canned goods also present quick ingredients that can be mixed together with minimal preparation time. One of the fastest and most filling foods you can buy for your home are dry grains. Rice, pasta and quinoa cook quickly with little clean-up involved, and they can be made in big batches so you can store some in the fridge for later. Don’t forget dry staples like cereal and oatmeal, either, especially for quick breakfast options. Dried fruits are tasty on their own, can be mixed with oatmeal and they last longer than fresh fruits. Crackers, pretzels and nuts are all practical snack options when you need to spend more time grazing throughout the day than sitting down for a full meal. If you don’t have the time or energy to prepare meat dishes every day, remember to still keep up on your protein. Canned meats like tuna fish and chicken salad are great and they are perfect on sandwiches or tortillas. A spoonful of peanut butter or almond butter is quick and may keep you going that extra minute in the afternoon. Granola bars are also good sources of protein and easy to have around the house. Try to find snacks with nuts in them to give them an extra protein boost. You don’t want to have to check the labels constantly as you graze. Some families may not like using paper or plastic products, but they’re much easier than dishes when you’re spending all of your time looking after your newborn. Paper plates, bowls and napkins along with plastic cups and flatware will help cut down on housework. Don’t forget to stock up on often-used paper products like coffee filters, too. Don’t feel bad about being a little wasteful. This time is for you and your baby, and little things go a long way in making life less stressful. 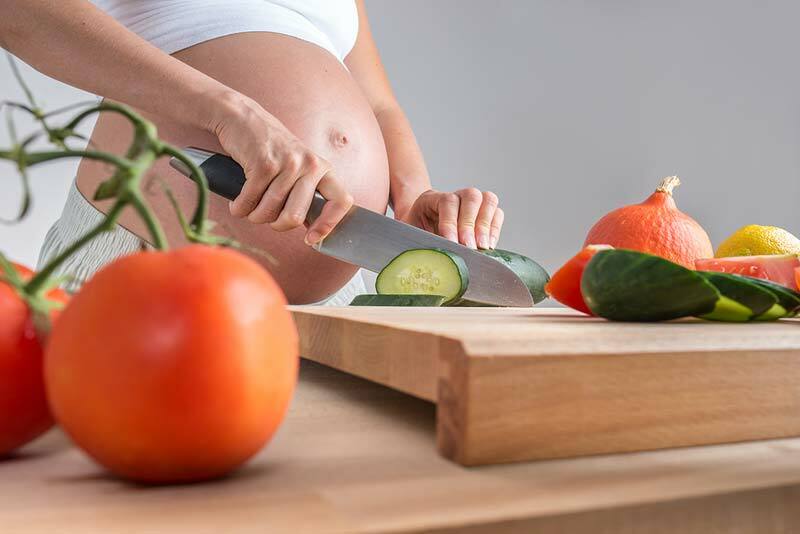 Preparing for baby and life after bringing him or her home is exciting and exhausting and you don’t want to miss a second of it by worrying about keeping your pantry stocked. These ideas will allow you to focus all of your attention on your little one.